Φτιάξε πασχαλινό αβγό με το πρόσωπό σου! The different flavors of this delicious, light salad intermingle and the result is very original. In boiling salted water blanch asparagus for only 1 minute. Drain and transfer in a bowl of cold water. When cool, drain. Mix all vinaigrette ingredients in a bowl. 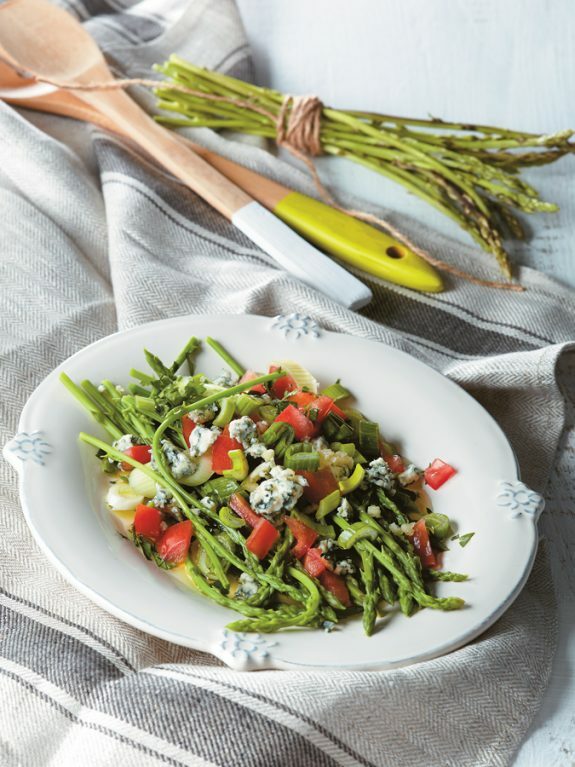 Transfer asparagus in a platter with tomato, onion and basil. Drizzle with sauce, scatter blues cheese on top and serve.